Madcap England Men's 1960's Mod Safari Jacket crafted from classic brown hopsack fabric. 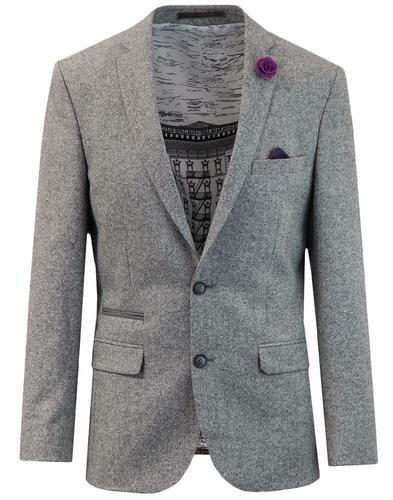 This tailored Retro style features Mod notch lapel, Military inspired shoulder epaulets and stylish covered buttons. The optional safari blazer belt detail adds a further Retro twist and is attached via the two side belt loops. 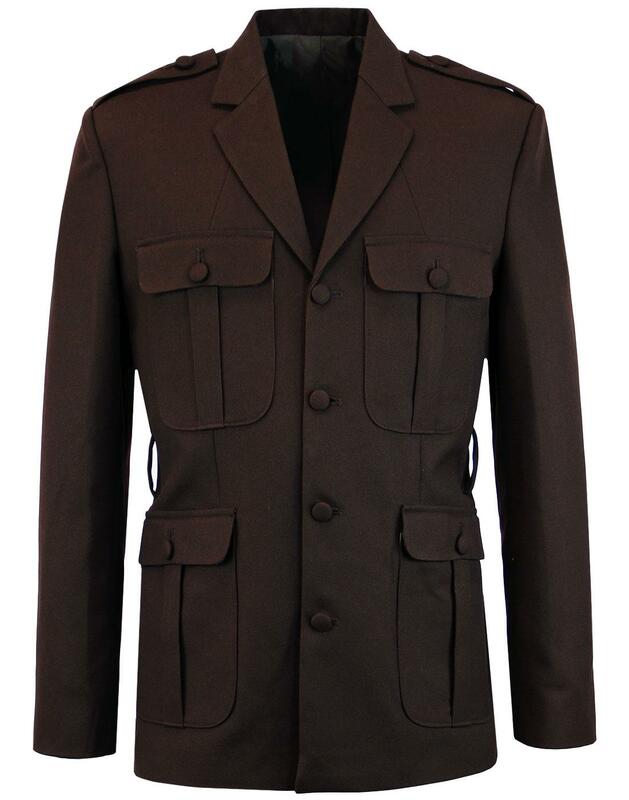 Practical covered button flap front pleat pockets add to the traditional Safari Jacket aesthetic. 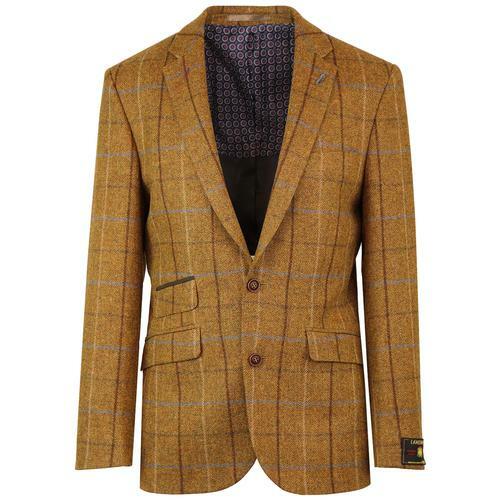 The Madcap England Men's Mod Safari Jacket is a style that can be dressed up or down as desired. 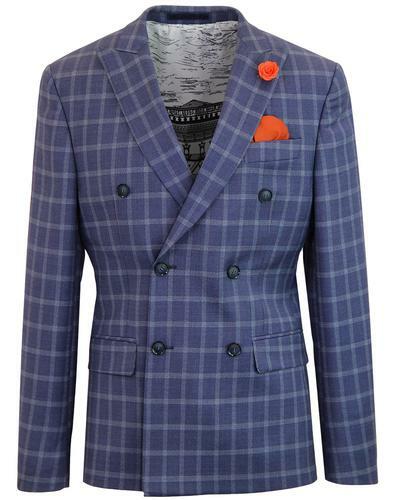 With a Military tunic flair blended with modern Indie Rock and Roll style, this unique tailored jacket is sure to take centre stage. 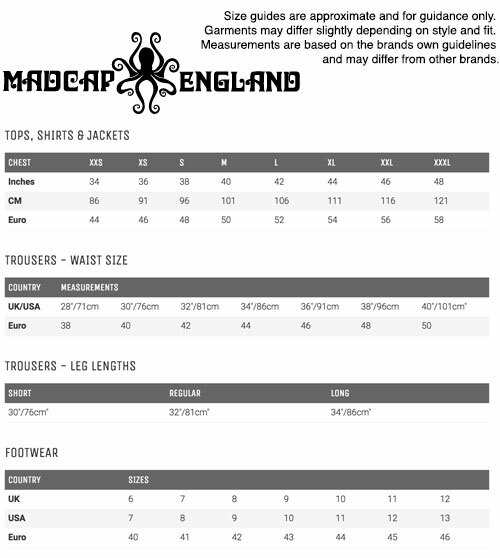 - Madcap England Hopsack Safari Jacket in brown. - Mod covered buttons to the fastening and pockets. - Four button flap front pleat pockets. - 2 covered buttons to non-working cuffs. - Military style shoulder epaulets. - SKU: MC289 Safari Blazer w/Belt. Composition: Shell: 65% Polyester, 35% Viscose. Lining: 100% Polyester. Care: Dry clean only. Please refer to garment care label.